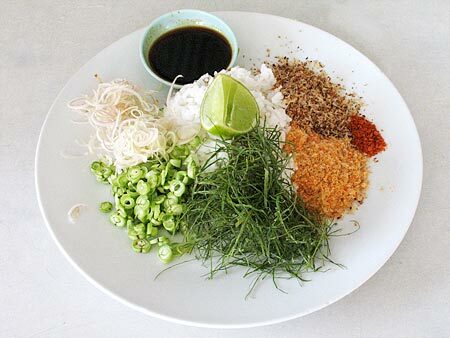 Kao Yum Rice Salad, a Southern Thailand specialty. The ingredients on the plate are all tossed together before eating. Kasma teaches this recipe in Series Set E (class 2).